I always make my salad dressings. Oh, I may have an “emergency” bottle in the fridge but I just pretty much ignore it. Making your own dressing just has so many payoffs – you can use the best ingredients, customize your flavors and know what you’re eating. Best of all, most just take minutes to make. This one, this Maple Dijon Vinaigrette, is simply sublime. Funny thing is, it doesn’t taste all that “maplely” but that maple syrup gives such a nice backbone to the dressing and such a depth of flavor. It’s a little magical. All my other Dressings are going to be jealous! This vinaigrette is absolutely perfect with my Winter Salad with Avocado, Pomegranate & Maple Glazed Pecans. Note: if you are making this dressing to go with the Winter Salad with Avocado, Pomegranate & Maple Glazed Pecans, just mix the dressing up in the same bowl you’ve tossed the Pecans in. Mix together shallots, mustard, maple syrup and balsamic vinegar together. Add olive oil in a stream while whisking to emulsify. Add salt, black pepper and cayenne. I’ll be linking up to Fiesta Friday this week, and I’m one of the co-hosts, along with Judi @ cookingwithauntjuju.com. Take a minute to click over and check out all the posts! This entry was posted in Click here for Fabulous Food Posts and tagged Balsamic Vinegar, Frugal Hausfrau, Maple Syrup, mustard, Salad, Salad Dressings, shallot, Vinegar, white balsamic vinegar. Bookmark the permalink. 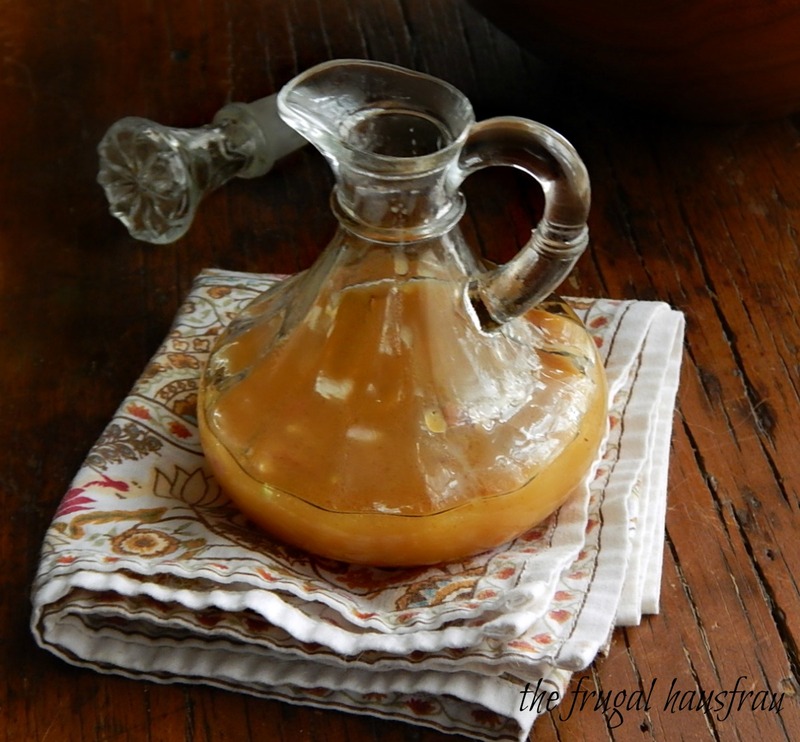 Looks yummy Mollie– our daughter-in-law makes a maple vinaigrette with the maple syrup her Dad makes every year in upstate NY. I’ll have to show her your version… hugs! Oh Rhonda, that is so cool! I’ve got maples and always wanted to but never got around to tapping them. Sugar maples are the best, though. I’d love to see her version! What a gorgeous salad, never mind the dressings being jealous because I think you’ve given your salads a run for the money, lol! lol! I think this has to be the prettiest salad I’ve ever made! That dressing is so good! Yes, please – on any salad. Thanks for sharing Mollie – the way you’re posting recipes you will hit 1,000 very soon 🙂 Still trying to decide what to post next week for my big “1,000”. Happy FF! Thanks! And that dressing really is exceptional. I think I could almost drink it! I could practiaclly drink this….lol! Hope you had a great Thanksgiving! Hi Debbie! I think I just mentioned the same thing in a comment, lol! And thanks! Thanks! I need to get over to visit your blog; I so appreciate you stopping by mine and I haven’t been to yours in awhile! Hi Linda, and thanks so much!